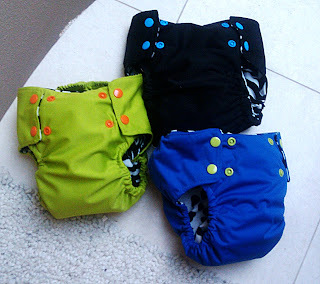 No boring diapers for my special boy! 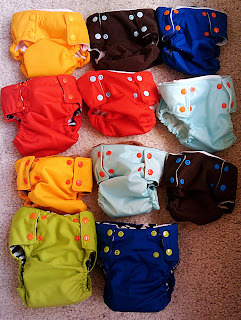 Aldous had outgrown or wore out most of his diapers. 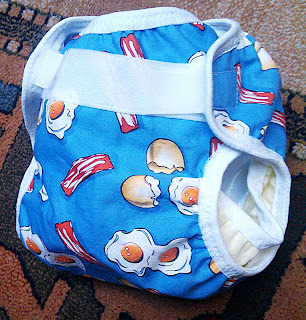 A large proportion of Aldous' diapers and covers had been used for William, too, who has only been potty trained well since July, so they were pretty worn out. 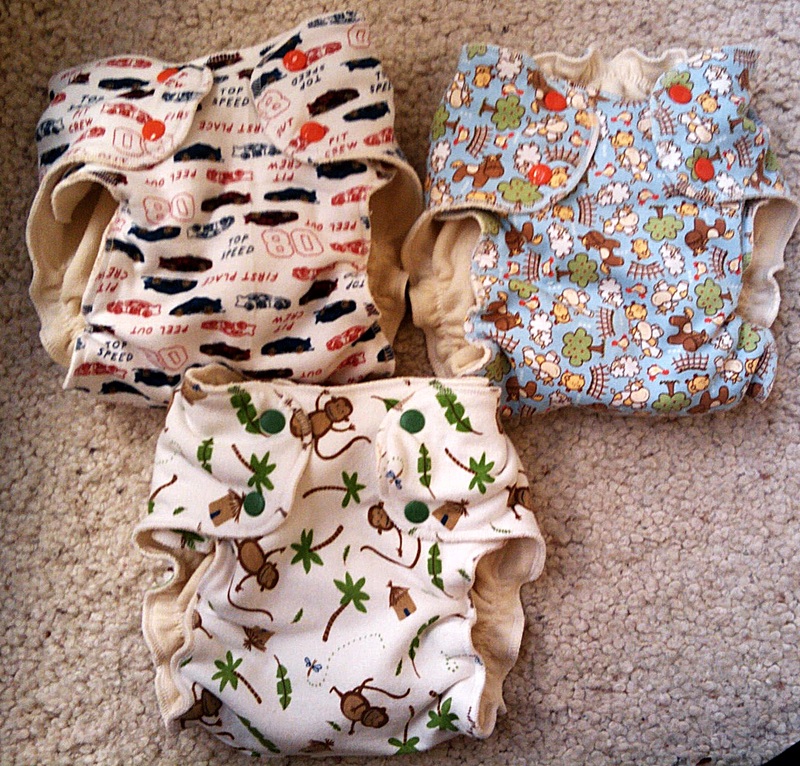 I made him 4 diaper covers, all with hook and look closure and gussets. 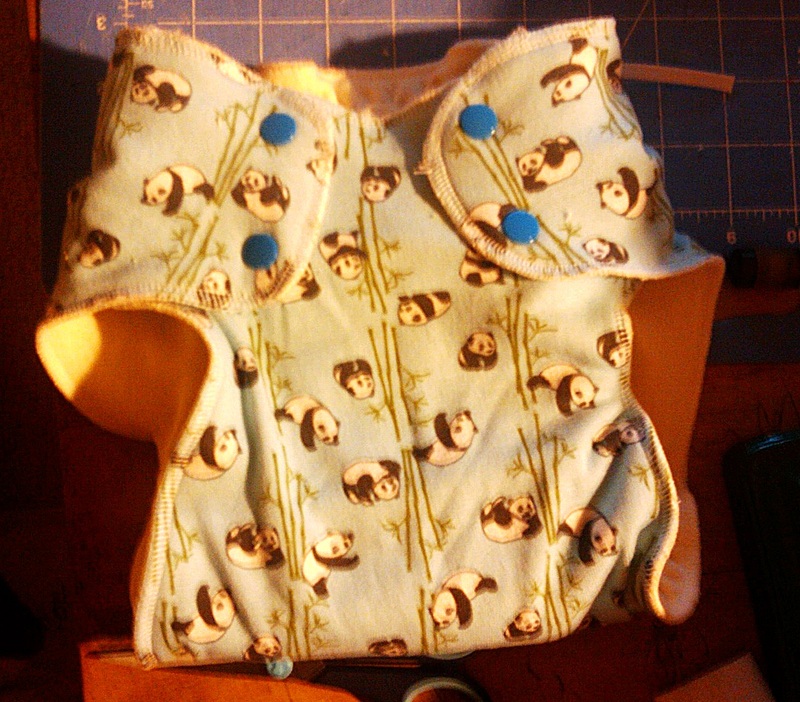 Two of them I put fabric on the outside. One of them, a black with purple gussets, is MIA. and a poor modeled shot. turquoise and red. I use scraps of PUL for the gussets. Another bad modeled shot. Aldous REFUSES to have his picture taken lately. 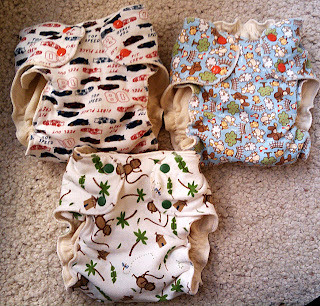 I made him four fitted diapers for overnight use. 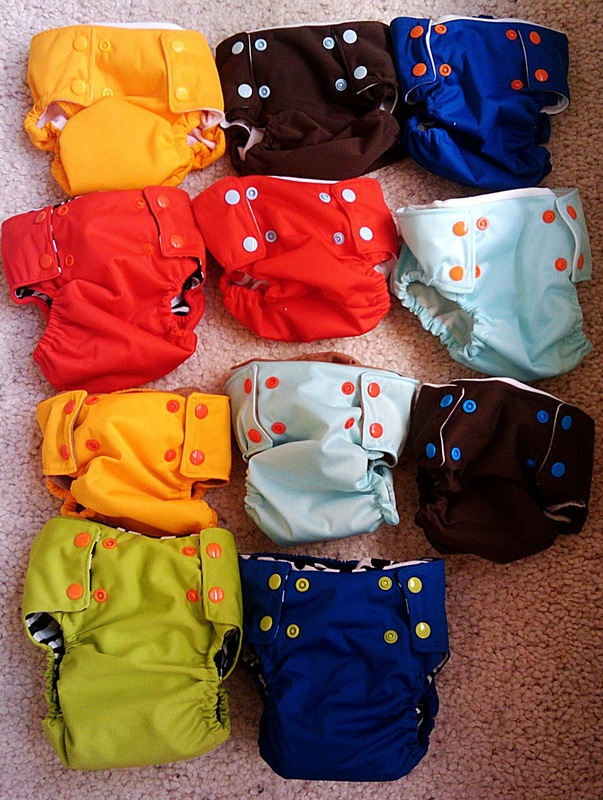 These have snap-in soakers. I have a few more to make but adding these to the stash has been wonderful! And a bunch of pockets for daytime use. 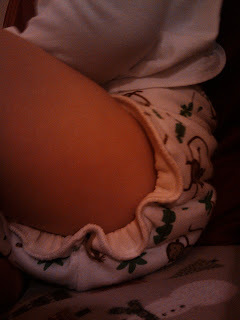 These are easy to use, but I need to make hemp or cotton inserts for them because microfiber just gets SO stinky! bleck! I made 14 of these, and will probably make 2 more. The green and royal at the bottom have inserts in them, but the rest don't. They're all the same size. The inside of these is suedecloth. 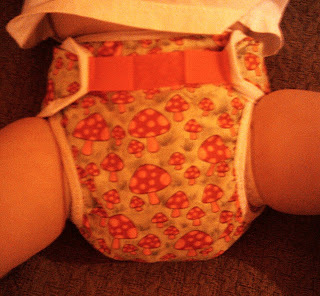 I HATE the way microfleece feels on the inside of diapers. It gets all pilly and weird, and it stains. Suedecloth stays smooth and soft and it's REALLY hard to stain...None of my current diapers used for eons with suedecloth in them have any stains or show any signs of wear. it's wonderful fabric. 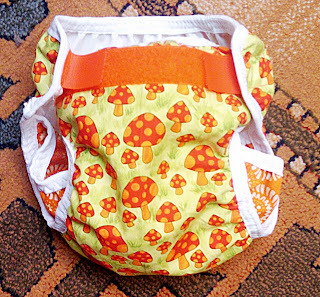 I got a few novelty prints around Halloween a couple of years ago, so I had it on hand to use in a few of these diapers. Most of them have white, though. Two more that didn't make it into the big picture. The PUL came from Wazoodle, Kids in the Garden, and JoAnn fabrics. 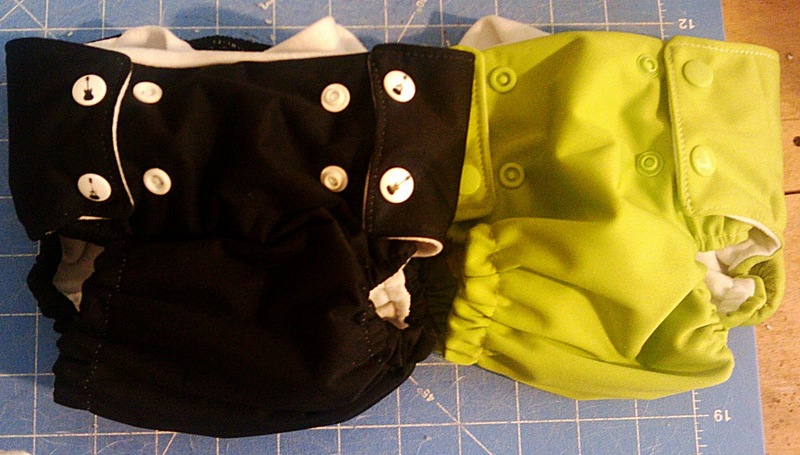 Costume Suedecloth from JoAnn Fabrics. Hook and loop from Very Baby and Kids in the Garden, Snaps from KAMsnaps. I love these diapers. I am going to be needing some more for this next one, so if you're up for a small order (about half dozen) let me know. I'm due April 1, so there's still some time.